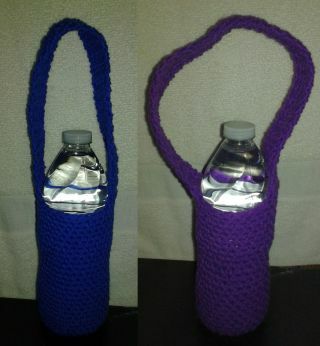 This year the holiday gifts are budgeted at under $10 for each person due to everyone having a very tight year....Whipped up water bottle cozies for my sister-in law & my nieces gifts. The cozies look great and since you did so well on your Christmas budget, maybe I should get some hints how to keep me in line. LOL! Isn't great to stay with in our budgets. Don't be surprised when we all are lined up at your door for Candied Bacon, ooops there goes that budget!